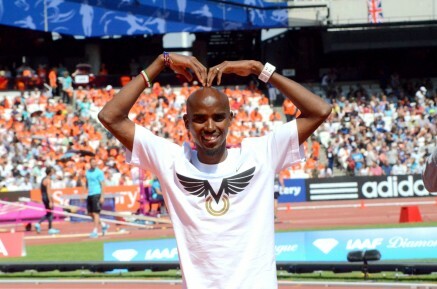 Mo Farah of Great Britain has been voted the 2011 winner of the men’s European Athlete of the Year Award presented by MONDO. The pinnacle of his achievement in 2011 was, of course, winning the 5000m gold medal at the World Championships in Daegu, South Korea, but there were so many other outstanding moments for the European Athlete of the Year to savour. The 28-year-old started off his year by setting a European indoor record over 5000m in Birmingham in February, circling 25 laps of the National Indoor Arena in 13:10.60. He successfully defended his 3000m title at the European Athletics Indoor Championships in Paris in March. Moving into the summer, Farah set a European 10,000m record of 26:46.57 when winning at the Diamond League meeting in Eugene, Oregon, in June and in July he ran a 2011 world-leading 5000m of 12:53.11 in Monaco, a time which ranked him second on the European all-time lists for the event as well as being a national record. However, all this was a prelude to his feats at the World Championships in Daegu. He had to settle for the silver medal in the 10,000m – one of only two defeats in 14 competitions on all surfaces during 2011 – but bounced back to run a tactically perfect race in the 5000m to become the first European runner to win a global title at the event for nearly two decades. Farah will be recognised for his feats at the European Athletics Awards Night presented by MONDO on Saturday 15 October in Arona, Spain, alongside the women’s European Athlete of the Year winner Mariya Savinova of Russia. The European Athletics Rising Star of the Year winners, David Storl of Germany and Great Britain and NI’s Jodie Williams, will also be present to pick up their awards. Fans, media and European Athletics Member Federations were invited to vote for the European Athlete of the Year on the European Athletics website. Along with the votes from a panel of experts, each group of voters’ results count for one quarter of the athlete’s final score. The shortlist for the award was compiled by selecting the top European athlete in different events, based largely on performances at the IAAF World Championships, European Athletics Indoor Championships, European Athletics events and the series of Diamond League and European Athletics meetings. Only in very exceptional cases were two athletes from one event nominated.